Forget the fact that it was a crisp 18 degrees outside this morning in the District, college baseball season is here! Tomorrow afternoon, the bearded GW Baseball Team makes its triumphant return to the airwaves of WRGW Sports when the Colonials open up the 2015 campaign with a doubleheader starting at 12 pm against NJIT at the newly-renamed Tucker Field at Barcroft Park. After missing out on the Atlantic 10 Tournament by a single game a year ago, the Colonials have their sights set not just on an Atlantic 10 Tournament bid (the tournament is being held at “The Tuck” by the way), but also on a trip to the NCAA Regionals, Super-Regionals, and ultimately, the College World Series in Omaha. For a more in-depth positional breakdown, check out this preview from Dan DiVeglio of GW Athletic Communications. WRGW is pleased to be back broadcasting 31 of 34 home games this season in a simulcast arrangement with RaiseHigh.tv. Once again, coverage begins tomorrow at 12 pm on ep.gwradio.com. On December 13, 2010 the bright future of Steven E. Smith (B.A. ’08), an alumni of WRGW Sports, was cut tragically short by a car accident when he was just 24 years old. This past Friday, on what would have been Smith’s 28th birthday, WRGW District Radio, in collaboration with Smith’s family, dedicated their Marvin Center studio in his honor, renaming it the Steven E. Smith Broadcasting Center, so that his memory and legacy with the radio station will live on for years to come. Smith served the GW community as a broadcaster on WRGW Sports and the vice-president of Colonial Army. When he wasn’t calling Men’s and Women’s basketball games for the station, he was the radio voice of the Baltimore Orioles AA affiliate, the Bowie Baysox. Smith was statistical whiz and lover of all things sports, but especially his New York Yankees and New Jersey Devils. He cherished his time with WRGW and was extremely dedicated to his work there. In an application for Sports Director submitted in 2007, Smith wrote, “WRGW has meant the world to me…Though there are hours of grueling, unpaid work, I feel almost compelled to lead the department and give back to the station that has meant so much to me for the past three years.” Though he did not get the position, his legacy of hard work and dedication live on with the members of the sports department today, and will continue to live on thanks to this dedication. This past Friday, with friends and family in attendance, a dedication ceremony was held in the Marvin Center for the newly named Steven E. Smith Broadcasting Center. 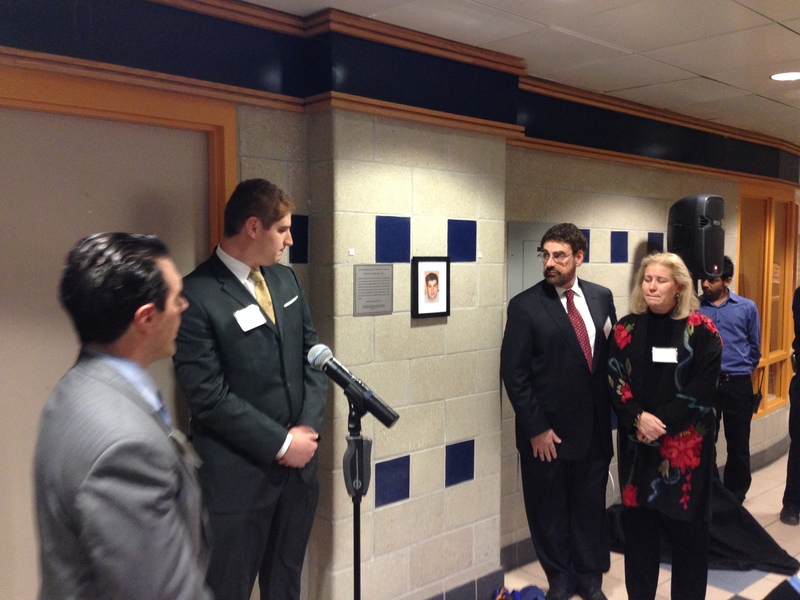 The dedication, hosted by Dean of Student Affairs Peter Konwerski, revealed a plaque and a picture hanging outside the door of the broadcasting center, which will hang in its place for as long as the station remains there. After the official dedication, attendees were asked to share reflections of the accomplished life that Smith lived. Smith’s father, Dr. Matthew Smith, mother, Mrs. Rhonda Smith, and brother, Jared Smith, opened up the reflections talking about Steven’s love for sports, broadcasting, and the station which gave him his first broadcasting opportunity. Mrs. Smith spoke about the footprints that Steven left behind on the people that he touched. 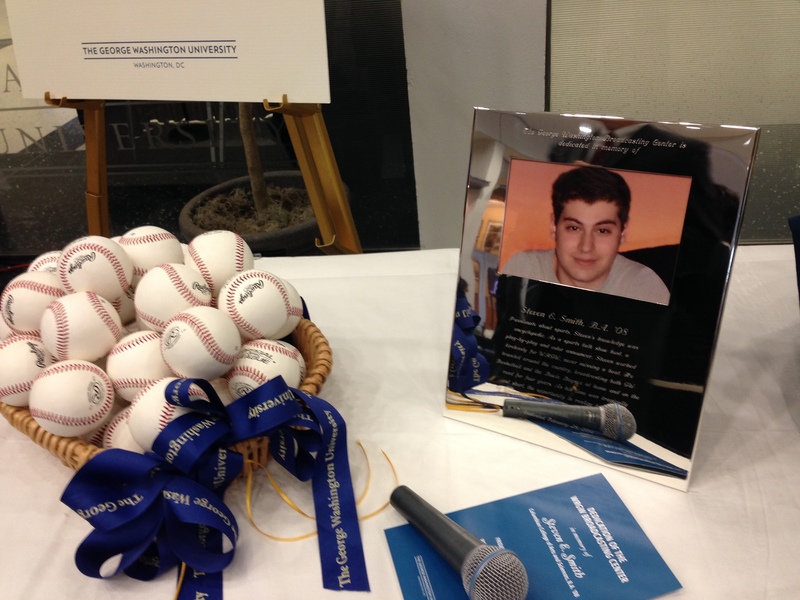 This became incredibly apparent as friends of Steven in attendance, including former roommates, broadcast partners, classmates and a family friend from his childhood, took the microphone to share stories and fond memories of Steven’s passion for sports, radio, and friendship. The next day, the George Washington Women’s basketball team played host to the #21 Dayton Flyers and won 88-79, earning them the 4th seed and a double-bye in the Atlantic 10 Tournament. 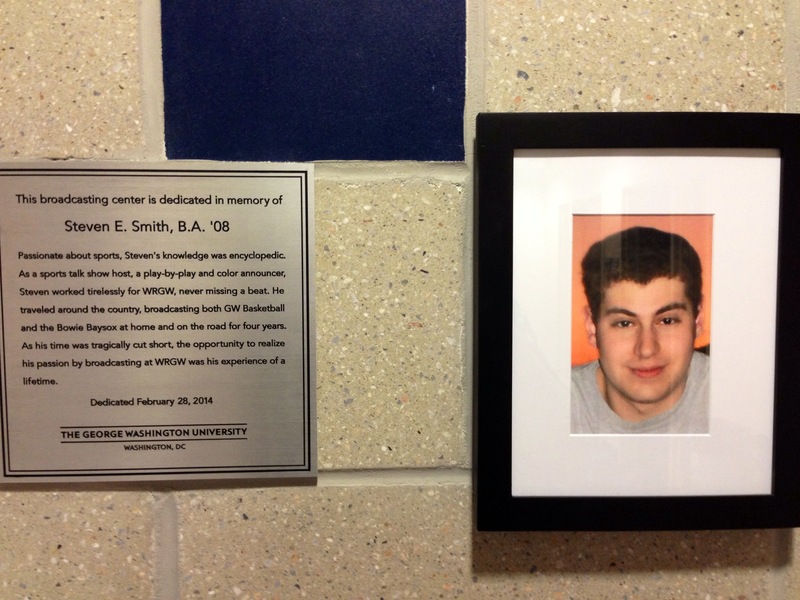 It was the first game to be produced from the just-dedicated Steven E. Smith Broadcasting Center. Before the game, WRGW Sports aired a story about the life of Steven Smith and the dedication of the studio. Alumnus Nkwa Asonye produced the story, with audio provided by Dr. Smith (listen below). 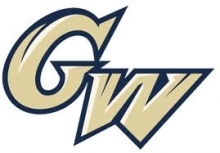 The story re-aired before the Men’s game Sunday against rival George Mason, a game that GW won 66-58. From this day forward, every song played, every news story broken, every trade discussed, every match analyzed, every slam dunk scored, and every GW basketball game broadcasted on WRGW will be produced from the Steven E. Smith Broadcasting Center, and we couldn’t be more honored by that distinction. From all of us at WRGW and WRGW Sports we would like to thank everyone who attended the dedication on Friday and the GW Alumni House for organizing the event. Finally, we would especially like to thank Steven’s family for ensuring that future broadcasters on the station can get the same experience from it as Steven so cherished and for their extreme support and generosity. Thank you so much.